Written for color graphics professionals, the articles here cover historical topics like the use of color circles as well as practical ones such as important considerations when choosing a monitor for a color management system. A detailed explanation covering everything from the basics to the latest trends. This guide is for animators that want to improve efficiency and quality by implementing 3DCG color matching. Here, everything from the benefits of color management to the correct software settings is explained. Learn the basics of HDR: why it's so impressive, how HDR varies in photography and how you can enjoy HDR at home. We asked four of our ColorEdge Ambassadors questions related to hobbyist photography. Read what they had to say and apply it to your own photography. Simple breakdown of the function of both solutions. See how you can retouch and print photos with accurate color using Quick Color Match. Overview of certifications for the graphics market. Using a mix of text and illustrations, this handbook explains the basics of color management and the role of the monitor in the color management workflow. This illustrated guide shows you how to calibrate a ColorEdge monitor in four easy steps with EIZO's dedicated ColorNavigator software. 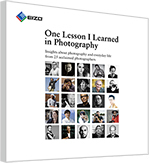 EIZO has assembled a book of short stories with the theme “One lesson I learned in photography.” 25 photographers from 17 countries contributed a story and one of their photographic works. Learn about the importance of consistent color in the workflow, monitor calibration, and the advantages of the Adobe RGB color space. This article answers questions like what a color management system (CMS) is, what monitors are ideal for a CMS, and the merits of software and hardware calibration. This booklet will serve as a simple guide to reducing eye fatigue when using your monitor so you work more productively. Why does color vary between input devices and why is calibration important? Find out the answers to these questions and more in this article. Last published in 2009-10, EIZO's popular Desktop Color Handbook combined an aesthetic design that used historical images and modern color charts with practical information on subjects such as color management, soft proofing, and LCD technology. Color circles are diagrams that graphically express the concept of color. In this chapter explore more than 2,000 years of color circle history from Aristotle to Munsell. Almost 80 historic diagrams are included to illustrate how man has used geometric shapes to explain color through the ages. Did you ever wonder how to put color management into practice? This chapter covers the most important points including lighting, monitor adjustment, calibration, ICC profiles, and print workflows. A short glossary of basic terms related to color management. Explore the internal components of an LCD monitor such as the diffuser and the backlight. You'll also learn about the differences between software and hardware calibration, and the relationship between monitor size and DPI. This four page appendix consists of brief entries of people who were instrumental in devising color systems as well as entries for the color systems themselves.